Good morning, it's time to announce our January winners which have been selected from an amazing display of entries, our thanks to you all for joining in. Updated 13/2/15: Sadly Theresa our winner didn't make contact (: (: (: (: or reply to my e.mail so the prize will be carried over to a future challenge. Well done to you all, please collect our Top 3 badge to display on your own blogs. 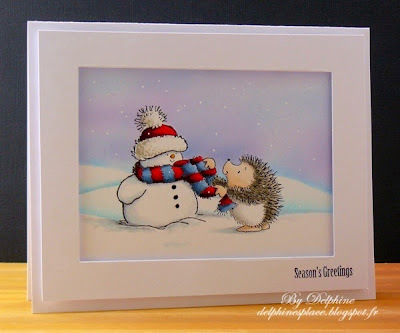 Good morning crafters, I hope you are all OK and keeping warm this this cold weather. 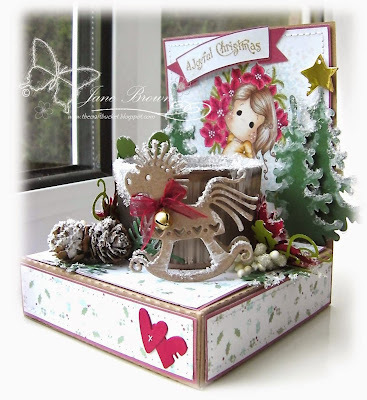 "Our current mid-month challenge for the DT is to choose our five favourite stamps, and make something using some or all of them. Five stamps??! I have hundreds, if not thousands, of stamps in my collection! How could I possibly choose five favourites?! If I were to think in terms of favourite stamps, it would probably be my newest, or whatever I happened to be working with at the time. However, let's try and narrow it down a bit. My favourite topics are nature themed - trees, butterflies, flowers, grasses, country scenes, etc. - so my preferred stamps are likely to come from those categories. I could pick any of Chocolate Baroque's flowers or butterflies, for instance, or just about anything at all by Inkylicious. I tried to make a short list, but by the time I was on to the third A4 sheet (of narrow-lined paper!) I gave up! In the end I decided to think about which stamps I find myself reaching for most often and have selected five of those. That was today. Tomorrow it could very well be a different five! Anyway, here's what I've made. 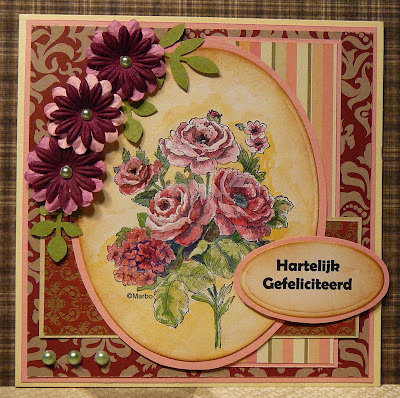 As well as the stamps, three of my cards also use diecuts, to reflect this month's challenge theme of Dies & Punches. Don't get me started on favourite dies....! 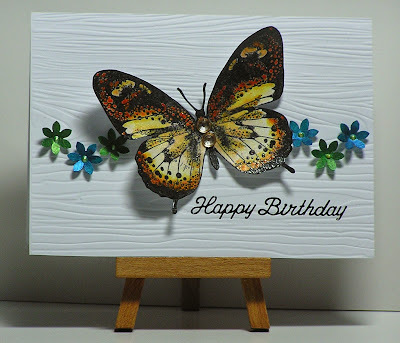 My first card uses one of my oldest stamps, a butterfly by Hero Arts. The original is wood mounted, since then I have also acquired clear and cling versions! To me it's just the perfect butterfly, both in shape, and scope for colouring. Next another oldie, by Funstamps, bought over 20 years ago in 1994! I often use this as it's perfect for one of my favourite techniques; using a waterbrush to draw the ink out of the stamped image to colour it in, as I have done here. My third stamp is probably in danger of becoming worn out, I have used it so often! It makes a regular appearance not just on Christmas cards, but all year round, although sometimes you wouldn't recognise it as it can make excellent little bushes or shrubs when turned on its side. This card, though, shows it in full glory. 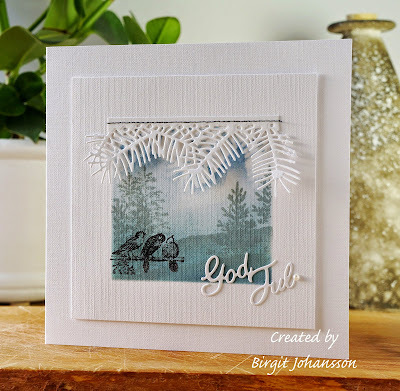 The background tree group is from the same Stampin' Up set, and I almost chose that stamp as my favourite instead of the single tree. But I think I've used the single one more. Finally, Stamp No.5. I've saved the best till last! You probably won't be surprised to find that this one was top of my list right from the start, and if I had to choose my single most favourite stamp ever, this would be it! 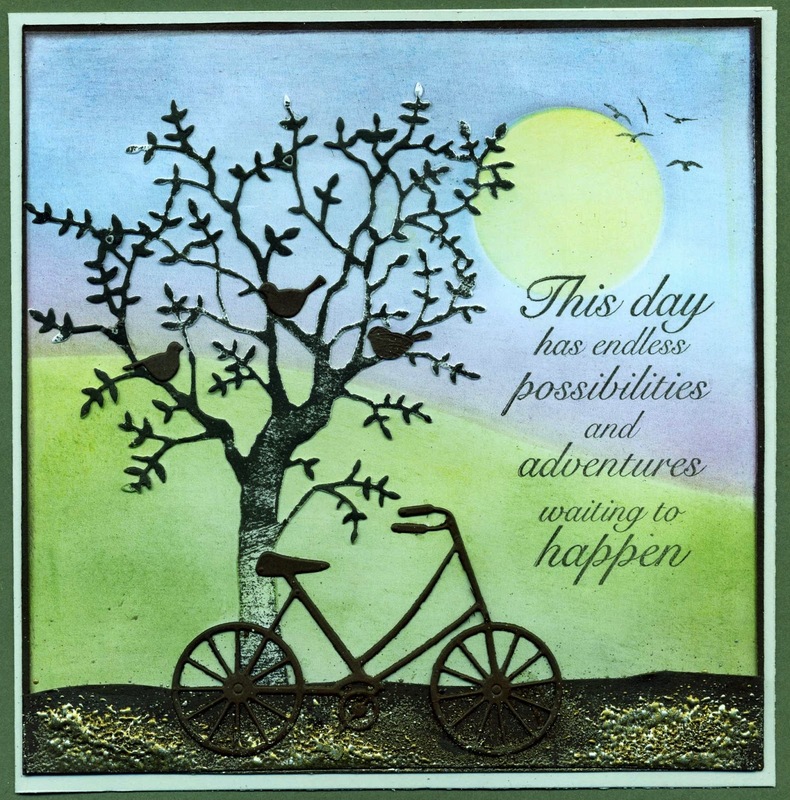 It is, of course, the Old Beech Tree - "my" tree, the one I see every day across the fields from my house, and which Deby at Inkylicious so cleverly turned into a stamp for me. Full details of all the cards will be on my blog. 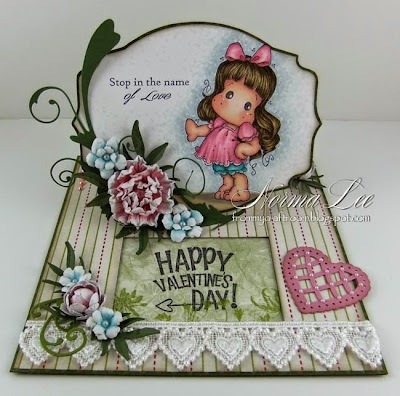 I've really enjoyed choosing my five "favourite" stamps, and thanks for looking at them"
Thank you for taking the time to inspire us with your creations Lynne. Welcome to our first challenge of 2015 ! With such a vast selection now available I don't think there are too many of us who don't have at least one or two in our crafty arsenal, so we hope lots of you will join us this month and get those dies and punches into action. And to go with the theme we have the prefect prize of a great collection of Sizzix dies as well as a pretty collection of ribbons to add the finishing touch to your artwork. 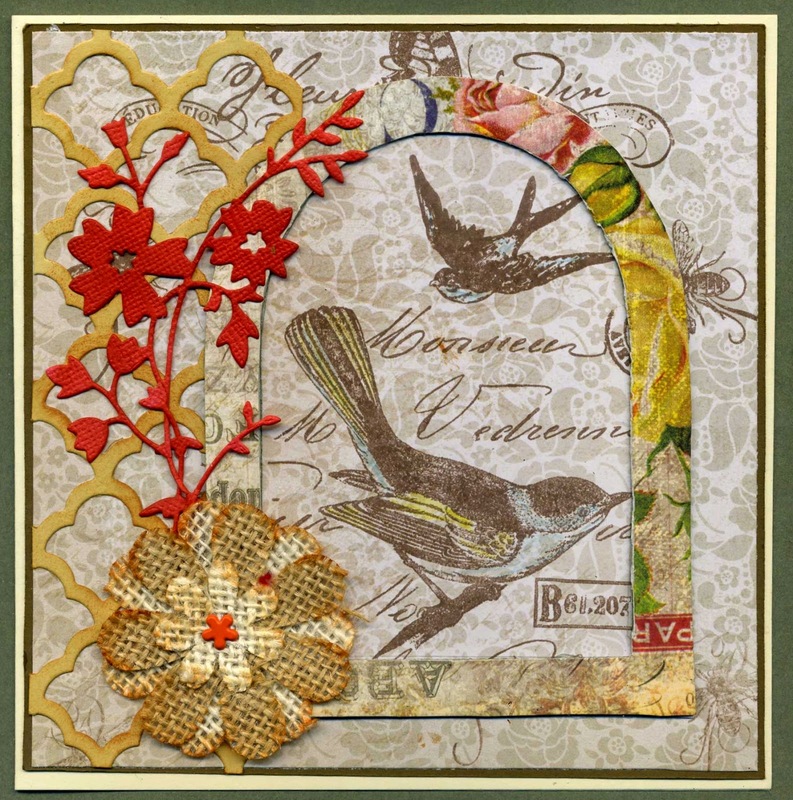 Happy Crafting and we look forward to seeing what you make for this months challenge. A very Happy New Year to you, we hope your Christmas and New Year went well. A rather late winners post as our internet has been dropping in and out for a couple of days so I am going to get right to it before it goes again but not before saying a huge thank you for all your gorgeous Winter Wonderland entries in December. Well done to you Delphine, please mail me with your full name and postal address so I can arrange for your prize to be posted off to you. Well deserved recognition, please go and collect our Top 3 badge to display on your own blogs. I will be back Sunday with our first challenge of 2015.